Teamreport by Tina Meier Nine buggys with two persons each participated in the “1. 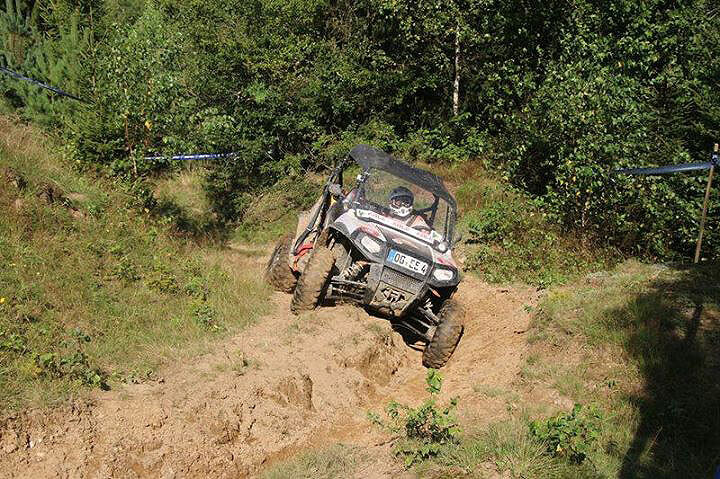 Carpathian Buggy Challenge” from August 11-15th in Romania – five teams came from Germany, two from Austria and two from Romania. 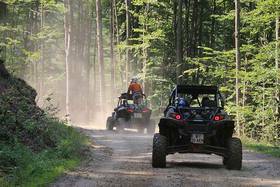 They drove Polaris RZR 800, 900 and 1000 and one Arctic Cat. With nine buggies and 18 competitors it has been a very familiar atmosphere between the racers and the organization. They all were involved in the development and try out to give their feedback to improve for the next CBC in 2015. Each of the 4 days had his own demands, depending on the track, the type of vehicle and the experience of the driver. For me with the RZR 800 has been the speed stages very demanding, no chance to keep up with the big and fast buggies. For others the navigation stage has been the biggest challenge, cause they never had to find a way themselves before and plan the best route to catch the most points. The week before the CBC has been a lot of rain, so there were a lot of mud on the forest tracks. The week of the CBC we had perfect and warm summer weather. A lot of sunshine joined us. Navigations stage: Plan a track from point to point and find the best and easy to drive track to collect them, make a good stategie and keep on going. We collected 18 points and did 140 km in the given nine hours – and won the stage. My advantage was for sure that I visit this area since 10 years. Of course I just know it from the endure-view but it is possible to transfer it also to the buggies. You just have to connect the tracks you know with bigger tracks to find your way on four wheels. Within 10 years I took part in a lot of “EnduRoMania”, but never collected points. This has been the first time ever, I collected points. Other teams fighted with the landscape and the tracks they choosed to connect the waypoints and overcome the emerging obstacles – Enduromania Style at its best. This stage has to be driven in teams of at least two buggies to be able to help each other, to winch or to push. Speed stage: Two times (each two hours), seven laps with nine kms – 126 km total – on this stage you needed to pay a lot attention on the ruts and holes on the track and the “big buggies” had their advantage, as long as they didn´t had a breakdown. Overtaking has been very difficult cause of dust or narrow passages. Trial Stage: Two Laps on a very nice and tricky track near the village, so spectators could join us for watching. Maximum time was 15 minutes per lap. I the first lap I forgot to switch on the 4WD, it took me a lot of time to climb one edge. The second lap went well. The fastest lap was done by a Romanian team…he just loves to ride as fast as possible, no matter how many penalty he receives. The everage speed without mistakes results in the best ranking on that day. 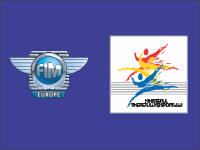 Marathon Stage: 300 kms from Brebu Nou to the Duna (Irona gate) at Eibenthal and back. Very spectacular tracks through the national parks and the mountains. At the beginning has been a timed section on top of the Semenic (above the mountains with the rising sun) and at the end again a timed section inside the dark forest (after sunset) on a very muddy track with a lot of water holes. We started a 6:00 in the morning and finished at 22:00 at night. This stage has also to be driven with at least two buggies. On the touristic part from CP1 along the duna to CP2 and over the mountains back to CP1 we drove with 4 buggies, made lunch together and enjoyed the day. The whole rally has been inspired by the EnduRoMania idea of riding together, explore the landscape, have fun and enjoy friendship between the participants. For me this has been a successful recipe. It was a point system to compare the two days where we collected points (Navigation stage and trial stage) and timed stages (Speed Stage and Marathon Stage) – the winner recieved 100 points and the others in relation of the differences their points. With 255 points my co-pilote Susi Raasch and I ranked on 5th place. The 2014 CBC is a pure production-based Buggy Challenge. 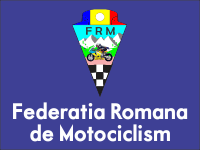 It extends over four day stages and will be held in the Banat Mountains on the outskirts of the Romanian Carpathians. The tracks run over extremely scenic points in the steady changes with rapid meadow paths, heavy forest paths, muddy ravines and dusty gravel roads. Starts only with approved production-based Buggies and Side by Sides to 1100 cc. All vehicles must be equipped with roll bar, at least four-point seat belts, rear splash guard, 3rd rear brake light, and a spare tire to be fitted. Driver and passenger must wear a helmet. Navigation, speed, agility and endurance sports are the focus of the first Carpathian – Buggy – Challenge 2014, with the track selection was always on the participants respected the scenic charm of the Banat Mountains and the South Carpathians. More informations can be found atBUGGYMANIACS.COM or DIRTGIRLS.DE.